Five generations of family serving families since 1907. Be the first to share your favorite memory, photo or story of Crystal. This memorial page is dedicated for family, friends and future generations to celebrate the life of their loved one. 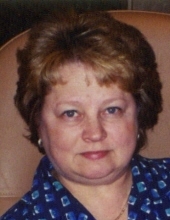 Crystal Van Waus, age 65 of Victor, died on Monday, January 28, 2019 at her home with her family by her side. A funeral service will be held at 10:30 a.m. on Monday, February 4th at St. James Lutheran Church in Victor. A reception will follow the service at the church. Interment will be at Rector Cemetery near Chelsea. Pallbearers are her grandchildren, Owen, Olivia and Aiden Van Waus, Avery and Carson Smith, and Cora Simmons. Visitation will be held from 1:00 p.m. until 4:00 p.m. on Sunday at the Smith Funeral Home in Victor. In lieu of flowers, the family suggests memorials be designated to the Crystal Van Waus Memorial Fund and mailed in care of the Smith Funeral Home, PO Box 485, Victor, Iowa 52347. Memories and condolences may be shared with the family online at www.smithfh.com. Crystal Susan Cronbaugh was born on January 3, 1954 in Marengo, Iowa to Milton and Bernice (Veit) Cronbaugh. She was raised on the family farm near Hartwick and graduated from HLV High School in Victor in 1972. On June 24, 1972 Crystal was united in marriage to Bill Van Waus at St. Bridget Catholic Church in Victor. They were blessed with three children, Angie, Ben and Bobbi and have lived on the family farm near Hartwick all of their married lives together. Crystal had been a waitress for over 20 years at the Carnforth Inn restaurant west of Victor. She later worked at Iowa Erosion in Victor and as a financial administrator at the Iowa County Health Department. She was a member of the St. James Lutheran Church in Victor. Crystal dearly loved her family, especially her grandchildren. She loved life on the farm, being outdoors, tending to her garden, and canning produce from her garden. She loved to cook and was adventurous in trying new recipes. She will be remembered for being the rock of her family, for her love of antiquing, and for being genuine, kind, patient, and selfless. Crystal is survived by her husband of 46 years, Bill Van Waus of Victor; children, Angie (Jamie) Smith of Fairfax, Iowa and their children, Avery and Carson, Ben (Jessica) Van Waus of Victor and their children, Owen, Olivia and Aiden Van Waus and Bobbi (Josh) Simmons of Marengo, Iowa and their daughter, Cora; and her siblings, Bonnie (Dennis) Moon of Brooklyn, Iowa, Cherie (Ron) Wauters of Pella, Iowa, Nick (Pam) Cronbaugh of Hartwick, Iowa, Vicki (Steve) Van Nevel of Victor, and Leeann Cronbaugh of Grinnell, Iowa. To send flowers or a remembrance gift to the family of Crystal S. Van Waus, please visit our Tribute Store. "Email Address" would like to share the life celebration of Crystal S. Van Waus. Click on the "link" to go to share a favorite memory or leave a condolence message for the family.